Tampa, Florida group Iced Earth has waved the flag of true American old-school heavy metal all over the world for nearly 30 years, but certainly isn’t a band to ever look back, rest on their laurels or capitalize on their legacy in a way nostalgia acts do. Instead, they still have the motivation and creativity to write new music, and the fire is still burning as bright as ever, major lineup changes and serious physical ailments not withstanding. 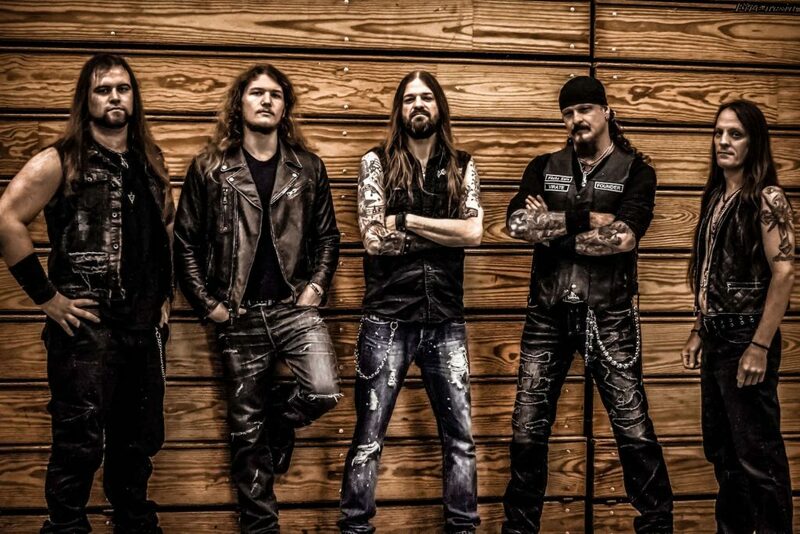 Iced Earth is now ready to release their 12th full-length studio album ‘Incorruptible’, an effort that reaffirms their relevance as a heavy metal band in 2017, and presents musical elements that are familiar to their fans but does so with such freshness, power and grace that it is poised to capture the attention and imagination of one and all. ‘Great Heathen Army’ is as epic of an opening track as one could ever imagine or expect, and with this soaring, raging, fist-raising song, the tone is set right away for a glorious slab of righteous heavy metal that spans 10 tracks and 54 minutes overall. ‘Black Flag’ hits you with instantly gratifying guitar harmonies, and the band comes together to paint quite the beautiful sonic portrait through this one. The brilliance of the guitar phrasing and song arrangement comes out in full on the next two tracks ‘Raven Wing’ and ‘The Veil’, vocalist Stu Block carrying himself to perfection as his vocal range is under greater spotlight on these slower-paced tracks. ‘Seven Headed Whore’, in contrast, is the fastest song on offer, and makes a big impact because of its placement in the album. On the strength of these first five songs, ‘Incorruptible’ finds Iced Earth at the peak of their powers, but the best is surely saved for the latter half. The melody-driven ‘The Relic (Part 1)’ serves as a solid follow-up to ‘Seven Headed Whore’, and to those that still listen to albums and “records”, it feels like the opening track of ‘Side B’, if there was one. Then comes the instrumental ‘Ghost Dance (Awaken the Ancestors)’, the standout highlight of the entire album and the most memorable track on it. The melodies and harmonies that decorate this one will resonate in the listener’s mind long after the listening session, which is the most telling sign of a truly great musical composition. This is the finest six-and-a-half minutes of heavy metal to have graced planet earth in the year 2017, thus far. But this album is still not done yet, and continues with another great song called ‘Brothers’, followed by ‘Defiance’ which is a gem of a tune with the catchiest chorus, and may become a fan-favorite. The longest track ‘Clear The Way’ is the absolute perfect end to the album, the nine-and-a-half minute composition excellently encapsulating everything this album sonically stands for. Guitarist, founder and principal songwriter Jon Schaffer has once again dipped into his seemingly unending river of creativity and emerged with a set of 10 songs that are each brilliant on their own but also stand together cohesively as an album. The rhythm section of bassist Luke Appleton and drummer Brent Smedley served this album well by giving it the backbone so essential to traditional heavy metal music. Vocalist Stu Block announced his arrival as the new Iced Earth frontman with a strong effort on ‘Dystopia’ (2011) and an equally impressive follow-up on ‘Plagues of Babylon’ (2014), and on ‘Incorruptible’ he does complete justice to his talent, having been able to hone his craft through playing more shows with Iced Earth than any of the previous singers did. The most notable change since the last album is the departure of lead guitarist Troy Seele and the entry of Jake Dreyer as his replacement. Dreyer entered the picture after most of the songwriting was already done, but he did lay down some of his own solos and the fast-rising young guitarist has lent his touch and flavor to the album as well. This is a band that commands and deserves utmost respect and admiration for continuing to give listeners such high-class new music to enjoy. Granted that the majority of the album comprises slow-paced songs, but if any band has the mastery and skill to pull such songs off with success, it is Iced Earth. Besides, there is also a sizable dosage of fast-paced tunes to keep the variety intact, but regardless of tempo, the flow from one track to the next is ultra-smooth, and contributes to the easy listenability of the album. 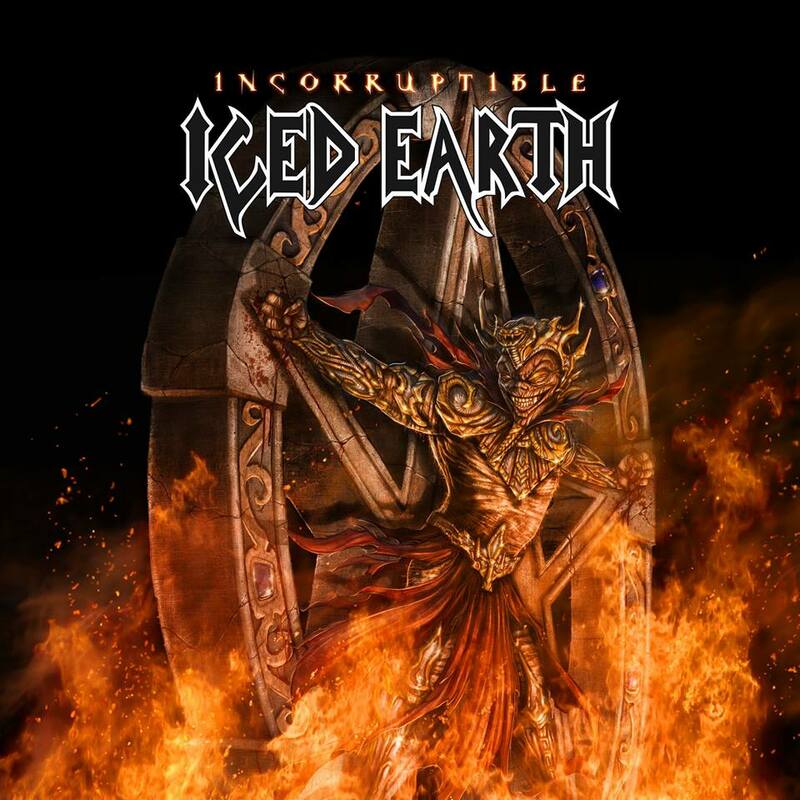 ‘Incorruptible’ is very much Iced Earth 2017, and quite simply is a product of a band letting their musical creativity take over without much deliberation. That said, it also treats longtime fans of the band with inklings and reminiscences of past work, in a manner very organic and natural. It may be too early to make a call on where this one stands in the Iced Earth catalog and how it compares to the rest, but may be it’s best to not make comparisons at this point and enjoy it for what it is, a great Iced Earth album. ‘Incorruptible’ is soul-soothing heavy metal at its finest.